The International Meeting on the Common Formation Processes for Brothers and Laypeople took place at Santa María de Bellpuig de les Avellanes from the 14th to the 20th May 2007. This meeting was approved by the General Council and initiated by the Bureau of the Laity to respond to the calls of the 20th General Chapter so as to deepen the specific identity of brothers and laypeople thanks to “common formation processes”. The meeting was opened by Brother Xavier Barceló, Provincial of the Province of L’Hermitage and by Brothers Peter Rodney and Emili Turú, General Councillors. Brother Xavier highlighted the place of the meeting in the setting of a house marked “by a long tradition”. Brother Emili, using the symbolic meaning of the four places of the house connected to water (the fountain in the dining room, the fountain in the reception area, the fountain at the entry to the house and the well that currently provides water to the house), highlighted some characteristics of the way of researching the identity of brothers and laypeople: go to the fountain of living water even if it is necessary to suffer contradictions, to appropriate treasures from the past, to be open to others so as to share and seek at depth. Brother Peter Rodney read the letter written by Brother Seán Sammon, Superior General, addressed to the participants of the meeting, in which the transcendence of self stood out, on the way towards “change” and “deeper awareness of the common charism” shared by brothers and laypeople. This meeting had four objectives: 1. To be aware of the need to promote common formation processes for laypeople and brothers. 2. 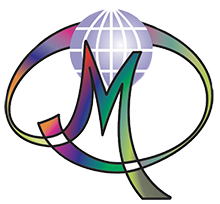 To share the existing principal Marist formation programmes for laypeople and brothers, for the mutual enrichment of each Administrative Unit and of the Institute. 3. To discover the essential elements of these formation programmes both in their aims and in their contents, methodology, experiences, etc. 4. To indicate the possible future projections of these programmes at the level of the entire Institute, of each region and of each Administrative Unit. The members of the Preparatory Commission were responsible for running the meeting: Ana SARRATE (Ibérica), Javier ESPINOSA (C.E. Escorial), Teófilo MINGA (General Administration), Pau FORNELLS (General Administration), Jaume PARÉS (L’Hermitage). Brother Antonio Martínez Estaún (Director of Communications) and the brothers from the community of the spirituality centre of Avellanes: Lluis AGUSTÍ, Isidoro GARCÍA, Jaume PARÉS (L’Hermitage) also participated. The first step in the work that the participants in the International Meeting on “Common Formation Processes for Brothers and Laypeople” accomplished consisted in pooling the formation programmes carried out in the Administrative Units. The fifteen programmes that were proposed highlighted the plurality of initiatives and contents with which the different situations of the entire Institute were responded to and they testified to the wealth of creativity that the Spirit has aroused in the Institute. Once the participants had this institutional panorama of the common formation of brothers and laypeople in their view, obtained through these presentations, and well aware that all that the brothers and laypeople had done was not exhausted by this, they tried to realise a synthesis to discover what is common and what could be possibly missing. To help in this task, Brother Pedro Larrañaga, a Brother of the Christian Schools, shared an extraordinary reflection in which he showed that the common formation of brothers and laypeople, in his judgement, must be for the community something non-negotiable, and faithful to the Spirit. With this type of reference, by which the first stage of the method consecrated to SEEING the reality was brought to a close, the participants in the meeting started working to “make an approximation of the fundamental elements which must be taken account of in the common formation processes of brothers and laypeople” in the future. With this proposition the second methodological step was started, consecrated to JUDGING all the contributions made until the present in order to seek agreements and consensus. Having arrived at the end of the first methodological moment of the work carried out, all the participants in the meeting had an outing to Lleida where they visited the most characteristic aspects of the city; they were able to become familiar with the works that the brothers support there and they shared a meal with the brothers and the laypeople. Brother Joaquim Paninini, who participated in the meeting at the age of eighty-one, had a small problem with his heart and had to be hospitalised to avoid any complications. The work was undertaken enthusiastically so as to be able to offer laypeople and brothers a stimulating formative proposition for the future. The methodology that the participants followed during the international meeting on “processes of common formation of brothers and laity” was based on the initial presentations made by the representatives of the various provinces, which showed the steps they’ve already taken towards a common formation. From this starting point, they considered what was similar among the programs and courses already established, their deficiencies, and new ideas put forward. What came through very strongly was the importance of community, fidelity and doing things in the style of Mary, as three fundamental reference points that both brothers and lay people can share in developing processes of common formation. The final synthesis gathered a series of statements considered important in pointing the way to future development of common formation of brothers and laity. It must arise from life experiences and be linked to processes lived in community to provide a definition of Marist vocation for brothers and for lay people. 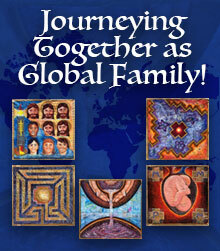 These processes will lead to the taking on of Marist spirituality, to commitment to solidarity and to personal growth. The statements speak of promoting a style of formation that is joyful and celebratory, along the lines of Marist simplicity. This formation must also emphasize the place of the brother and the layperson in the Church, at the service of the Kingdom and of evangelization. It was mentioned that these processes of formation should be integrated into the provinces’ planning and take the local culture into consideration. The need to create a team of formators was also mentioned. These broad strokes, with which the JUDGE stage concluded, provided the Secretariat for the Laity with some elements it can count on to help design common Marist formation for brothers and lay people in the future. The ACT stage of the methodology provided the participants a chance to reflect on two major areas of action. There was valuable input on what needs to be developed to put into practice processes of common formation of brothers and lay people in each region of the Institute. A number of suggestions were offered on what steps the Institute should take, with the coordination of the Secretariat for the Laity. All the initiatives that have come out of the international meeting at Les Avellanes May 14-20, 2007 will have to be studied in the near future to decide the actual means of implementing them. Those in attendance brought their work to a close by producing a letter directed to the brothers and laity of the Marist world, in which they expressed their joy at having been present and their satisfaction with having lived days filled with creativity, which was a good sign of a hope-filled future for the Institute. It was in response to this invitation of the 20th General Chapter that we came together in Les Avellanes from 14 May to 20 May 2007. We are 41 people, brothers and lay people coming from the four corners of the world. We have shared the richness of our languages and cultures in a friendly atmosphere. We have tried to go beyond our limitations to discover the true face of our brothers and sisters. In several days we have gone from Babel to Pentecost! The familial sharing and the vibrant and varied celebrations have helped us to know ourselves as brothers and sisters in the same Marist family. One of the aims of this meeting was to share the rich and varied processes of joint formation for lay people and brothers in our Institute. The second and most important part of the meeting was the discussion of the elements that are vital to these joint formation programs for lay people and brothers. This objective is to awaken, to discern, and to develop Marist vocation. 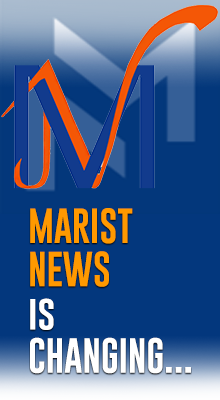 We firmly believe that the future vitality of Marist mission is rooted in the commitment of dedicated lay people and Marist Brothers. We believe that the Holy Spirit is at work in the Marist world by calling us to complementary vocations which will fulfil Marcellin´s dream “to make Jesus Christ known and loved” and to be witnesses to the building up of the Kingdom of God. We believe that lay and religious Marists have a unique vocation to live in communion. Faithfulness to God and to others is a sign of His presence among us. We understand that the vocation of lay people and brothers is for the mission: One heart; one mission! We believe that the Holy Spirit is inspiring us to new forms of community where we can live our faith and our commitment to mission. In the months to come, you will be learning more about this initiative. We can make this new vision for Marist formation a reality by supporting our province´s Marist formation programs and by participating in them. We pray together to the Holy Spirit to guide us all as the future of Marist mission unfolds. The way lies before us, and each one of us should feel committed to it. We want to share this exciting challenge with you. We do not know the future. We are creating it together. The only thing that is certain is that Jesus, Mary and Champagnat are walking with us.